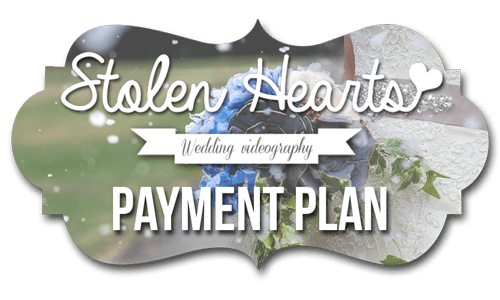 ​Here at Stolen Hearts, we understand that weddings can get quite expensive, don't break the bank with our new Stolen Hearts Payment plan. With our payment plan you can spread out the cost of your wedding and also secure your booking for as little as £100! Let's say you've chosen the Gold Package (£945) and your wedding is in May 2016, from today's date, that's 8 months away. This means, with a minimum deposit of £100 to secure the booking, the remaining £845 is payable up to a month before the wedding date (April 2016), this comes to only £121 a month!! Now seeing as other companies ask for up to a 50% deposit to secure the booking (which can be anywhere from £500 - £700 upfront), all we ask is a minimum of £100 to secure the booking and payments as little as £121 a month depending on time to the wedding and package chosen!